Judge Frederick Bysshe joins ARC after a distinguished legal career spanning 55 years. He sat on the Ventura County Superior Court for nearly two decades, serving as unlimited and complex civil trial judge from 2001-20012, then as Chief Settlement Judge from 2013-2018 and Supervising Civil Judge from 2013-2015. He served on the Appellate Division during 2015- 2016. In his final 10 years on the bench, he chaired the Court's Governance Committee. Prior to being appointed to the bench, Judge Bysshe was a trial attorney in private practice, specializing in civil litigation and medical malpractice, where he was awarded a preeminent trial attorney status. He began his career in the Riverside County District Attorney's office, serving as Trial Deputy, Chief Trial Deputy and Chief Assistant District Attorney from 1963-1970. 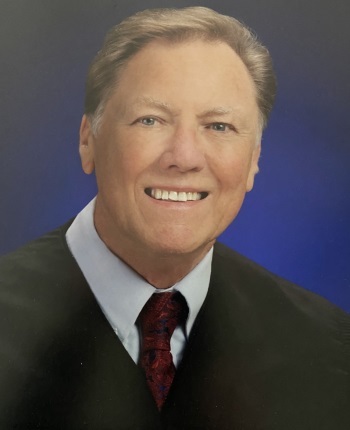 Prior to retirement, Judge Bysshe served as the Ventura Superior Court's Chief Settlement Judge from 2013-2018. During that period, he settled hundreds of cases involving every aspect of civil litigation, and he developed a reputation among both the plaintiff and defense bars as an outstanding settlement judge who relentlessly pursued a fair settlement in every case that came before him. As a trial judge handling an unlimited and complex civil calendar for over a decade, Judge Bysshe had an opportunity to develop a judicial perspective on a myriad of civil matters and issues and had a firsthand opportunity to learn how Ventura County juries responded to and decided cases brought before them for resolution. As a settlement judge, Judge Bysshe brings to bear a wealth of experience to the settlement process and a unique perspective on Ventura County Courts and juries. Judge Bysshe is available in Ventura County, California.